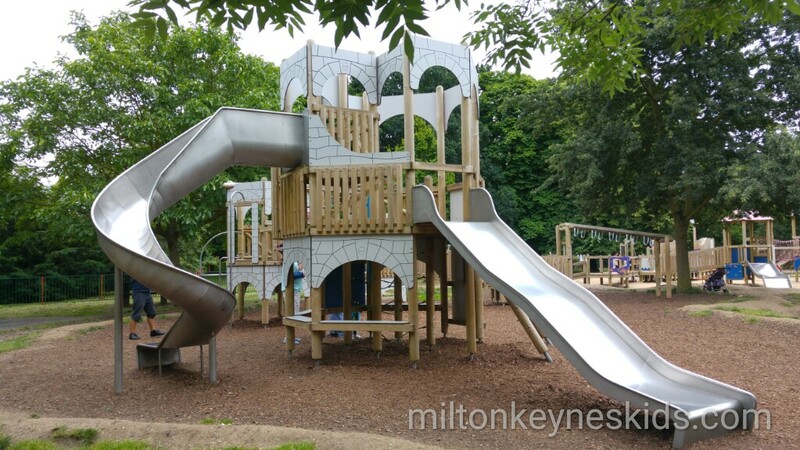 It’s FREE… and with it’s sandy areas, exciting climbing frames for a variety of ages and lovely café, Russell Park is well worth making the trip to Bedford for. 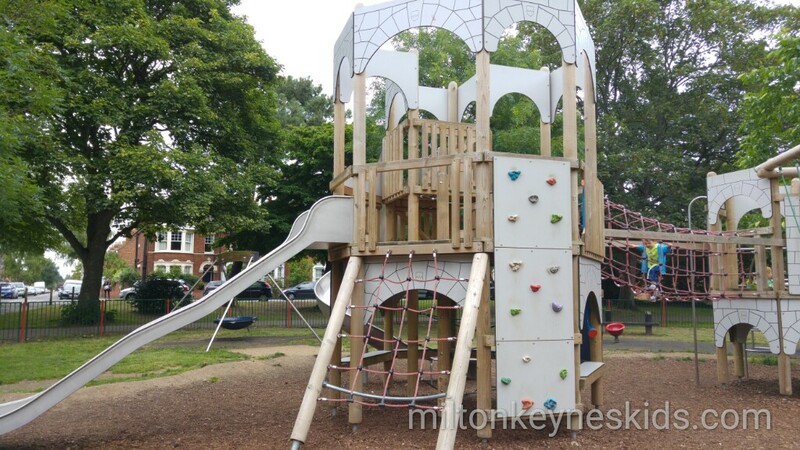 The biggest climbing frame has got good slides, wobbly bridges and a small climbing wall. 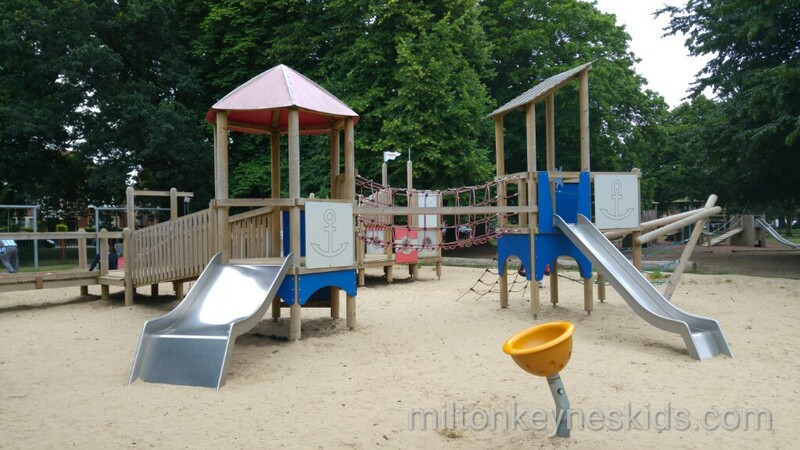 There is a fab low level wooden platform boat style structure which is fab for tots to run up and down. 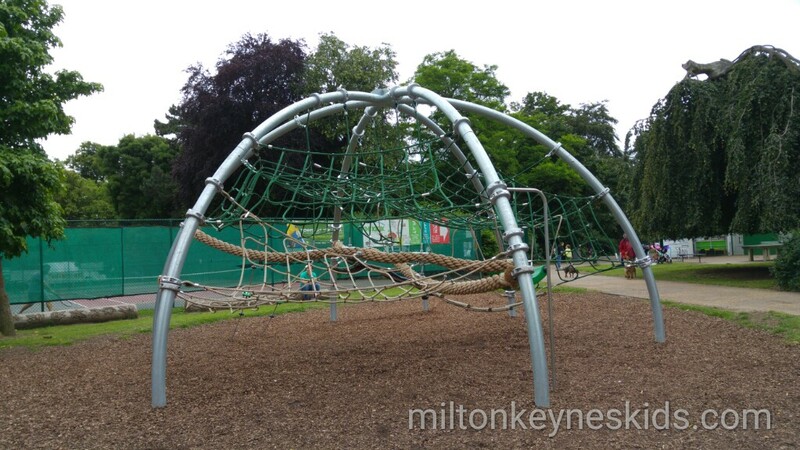 There’s another older style wooden climbing frame to clamber over as well as a big wooden net climbing frame. 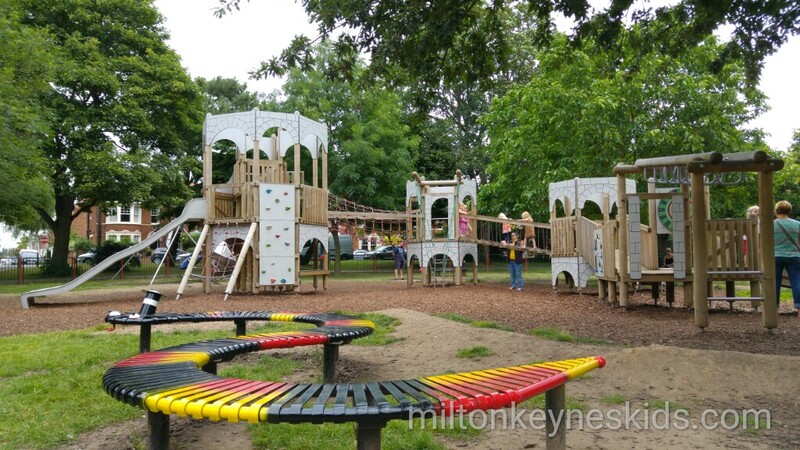 I love places that can be relaxing for mums and dads too. 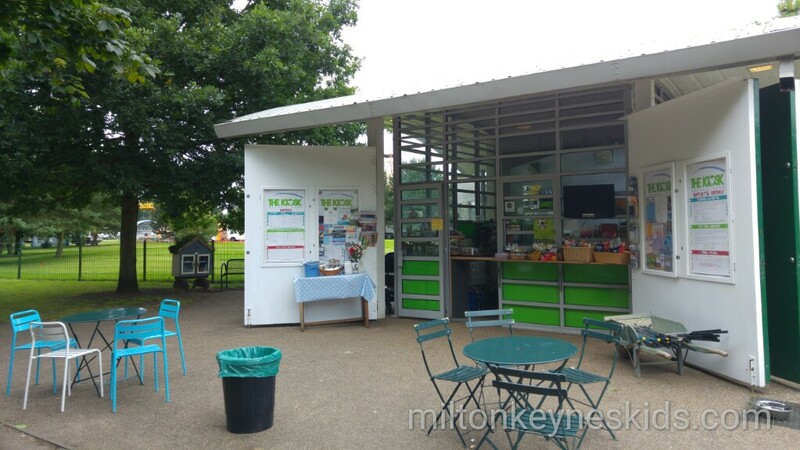 The Kiosk in the Park is a lovely café kiosk where you can sit outside and have a cappuccino. 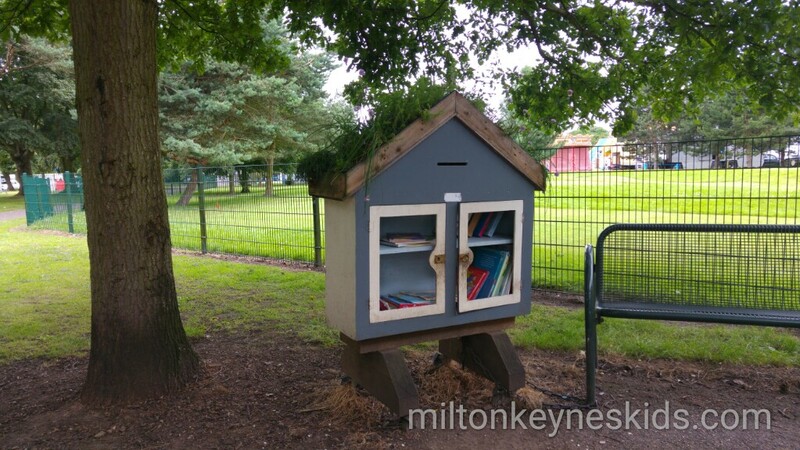 They have a very sweet mini book library where children can read books in the sunshine and if they enjoy them they can take them home. We spent a few hours there arriving at around 10am on a Friday during term time. 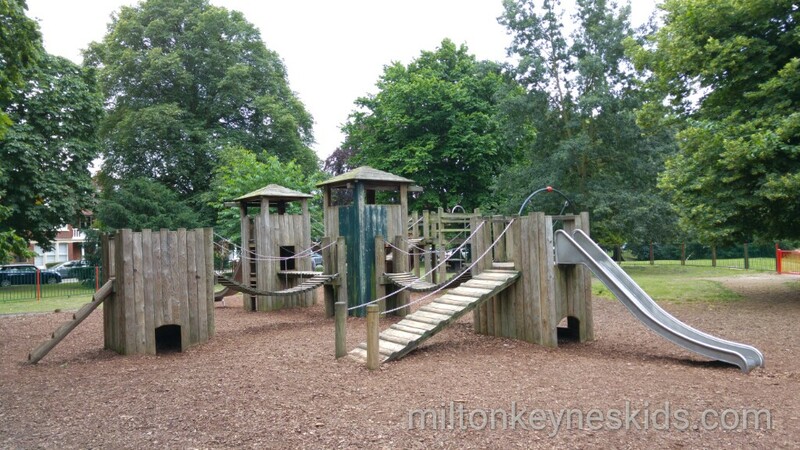 Do bear in mind it’s a really good park so will get busy during the school holidays. 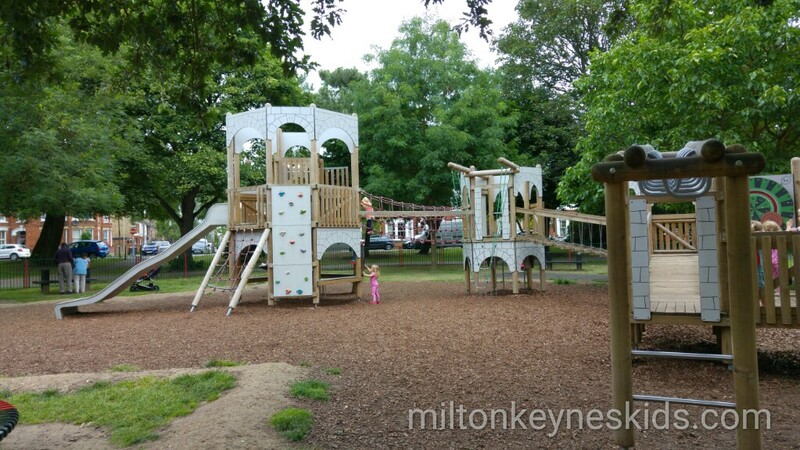 Russell Park is next to the embankment in Bedford. 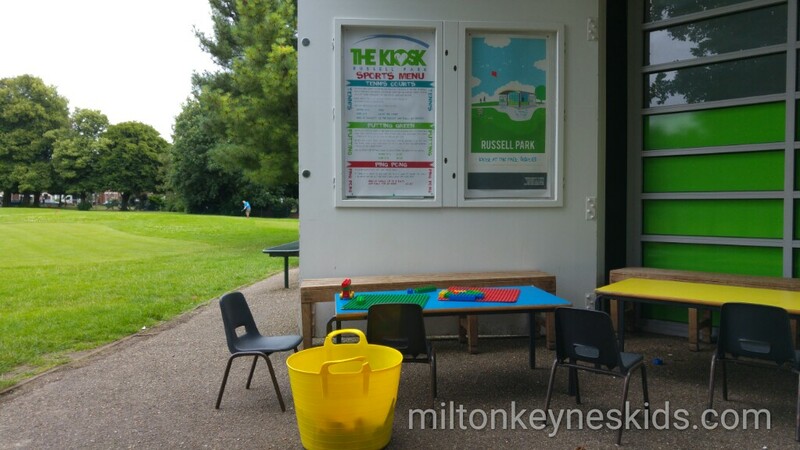 If you don’t know Bedford then the postcode for the café is MK40 3SA which gets you to the area. There are lots of roads behind the park with free on street parking and apparently most people tend to park and walk up. We parked on George Street MK40 3SG and walked up – the park was easy to find. Thanks so much to fab Bedford blogger Katie who writes at There We Go who showed us round. 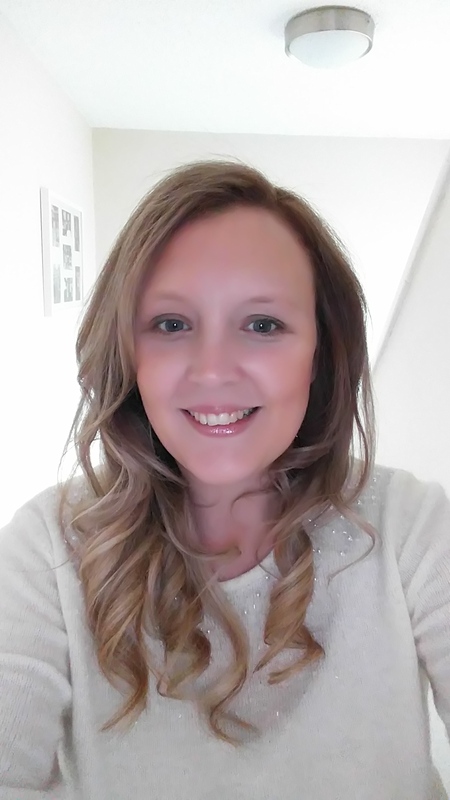 She writes about funny family life events as well as useful travel stuff and is well worth following. 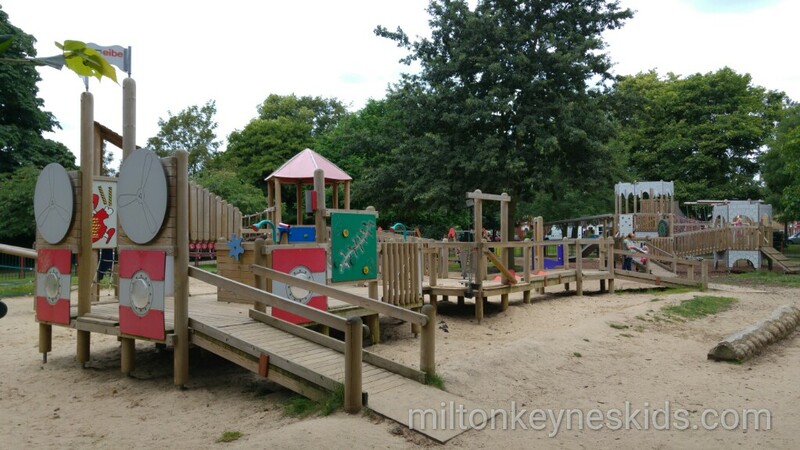 There’s a good video of this park on the Milton Keynes Kids YouTube Channel.